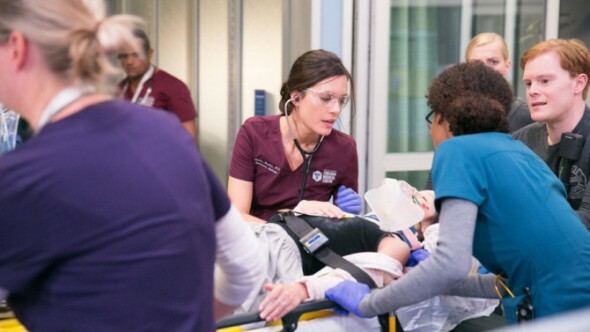 What’s in store for the new season of Chicago Med? Deadline reports Molly Bernard and Colby Lewis have joined the NBC TV show’s fourth season. The medical drama follows the doctors, nurses, and staff of the state-of-the-art Gaffney Chicago Medical Center. The cast includes Nick Gehlfuss, Torrey DeVitto, Colin Donnell, Norma Kuhling, Oliver Platt, Rachel DiPillo, Brian Tee, S. Epatha Merkerson, Yaya DaCosta, Marlyne Barrett, and Norma Kuhling. Season four of Chicago Med premieres on NBC on September 26th at 8 p.m. ET/PT. What do you think? Do you watch Chicago Med? Are you excited for the new season? Love the show. Oliver Platt is the standout star for me. My hubby and I both love to watch this show. Looking forward to the new season!! Love Chicago Med and can’t wait for the new season. Actually, the original article says NHL but it must be a typo.